Thomas Rauter’s research interests include financial reporting, banking, and the effects of disclosure regulation, with a focus on foreign corruption and economic development. His work on "Procyclicality of U.S. Bank Leverage" has been published in the Journal of Accounting Research. Rauter joined Chicago Booth as an Assistant Professor of Accounting in 2018. 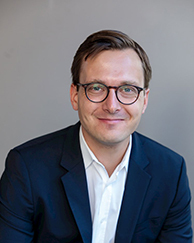 He holds a PhD from WU Vienna/VGSF (Austria), an MSc in Accounting and Finance from the London School of Economics (United Kingdom), and a BSc in Business Economics from the University of Mannheim (Germany). Prior to his doctoral studies, he worked in the asset and insurance solutions groups at Morgan Stanley and in the investment banking division at Citi. Rauter teaches Financial Accounting in Booth’s MBA program. He wants his students to take away a solid understanding of various reporting objectives and accounting alternatives that allows them to be effective financial statement users who think critically about the costs and benefits of real world accounting choices. Outside of academia, Thomas enjoys running, cooking with his wife Milena, and freeride skiing with friends.